The concept of sharing isn’t something that always comes easily to children. But as they do learn about sharing and why it’s important, kids can start using this gesture as a way to show that they care. If you have a young child, plenty of patience and positive reinforcement will go a long way towards raising a child who truly enjoys sharing with others. When kids are little, being a parent means doing just about everything for them. As kids get older, they become capable of doing more on their own. Learning how to independently perform different tasks helps children build confidence. In turn, kids can show their love by using their new skills to help parents or other important people in their lives. Kids don’t actually have to say or do anything to express their love. A child’s presence can be a very direct expression of love. Even if your kid is busy playing, the fact that they chose to do so just a few feet away from you is because they enjoy being close. One way parents can mirror this way of expressing love is by being present during family time. Setting the example of putting away phones and other distractions is something that kids will notice and take to heart. Whether it’s a touch on the arm, a pat on the back or a hug, these are all different ways that kids can show their love. 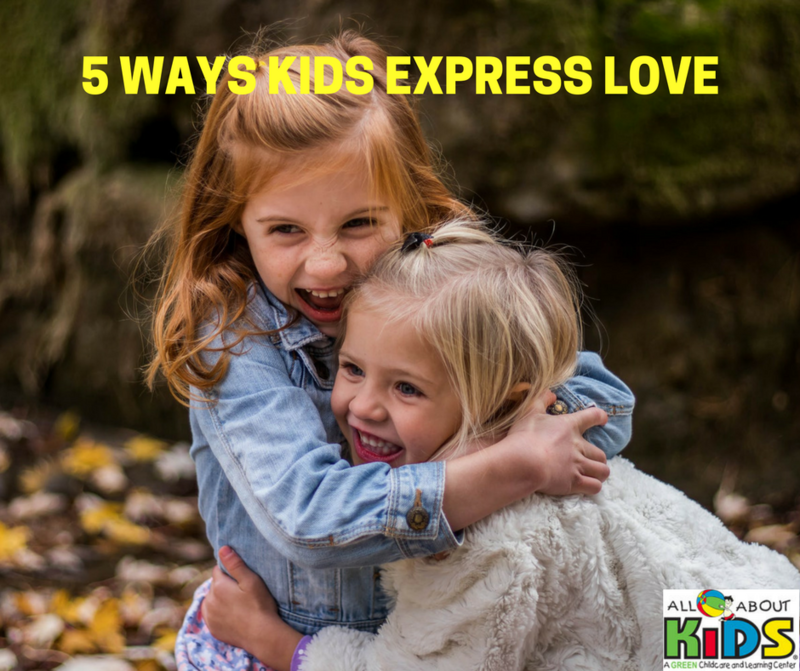 Being able to give and receive this type of love plays an important role for many years in a child’s development, so make a point of finding opportunities to share this type of communication with your kiddo. There’s no question that kids love receiving gifts. It generally doesn’t take long for kids to feel great about giving them as well. With the simplest item that they found or made, a kid can express an incredible amount of love to a parent, other family member or friend. Sharing, helping, being present, physical touch and giving gifts are all ways that kids can communicate their love. 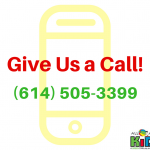 By keeping all of the examples we covered in mind, we hope that you and your kids have a wonderful Valentine’s Day from your friends at the All About Kids Lewis Center!